Author, Trenace Rose was introduced to Transcendental Meditation at age 16. This was the beginning of a passionate exploration into various cultural beliefs. She has been active in the science of yoga as a spiritual practice for the last 24 years. It was while reading one of Paramahansa Yogananda’s extraordinary passages in his book, The Second Coming of Christ, that a seed for the book, Akashic Alphabet, was planted, blossoming into form after six years of research, solitude and ongoing meditation. The author’s background includes a university curriculum of English, Modern Drama and Shakespeare courses completed in England and a B.A. Degree from USC. At age 20, she was granted membership to the Screen Actors Guild in Hollywood. During a diverse, freelance writing career, she has been honored with various awards for Lyrics in Songwriting at the Nashville Song Festival and Creative Writing at the Santa Barbara Writers Convention. 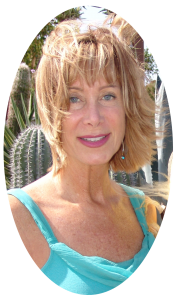 In addition to serving as Project Facilitator for the Mindfulness Program at Scripps Center for Integrative Medicine in La Jolla, her fields of study continued, including the Tao and practice of Qigong, Buddhism, Shamanism, Naturopathy, Holistic Medicine, Nutritional Healing, Animal and Marine Mammal Communication, environmental awareness, astral travel, energetic healing modalities and the Monroe Institute Hemi-Sync Method. Then came the sacred gift of a satori, an out-of-body experience with supportive therapists present, which changed her life in a profound way. A conscious, metamorphic shift is taking place in our dimension and each soul has sub-consciously chosen an individual rate of spiritual growth and ascension. Those at the forefront may be aware that you are acting as catalysts in a vital process of raising the vibration for all living beings, including a cherished Mother Earth. Media news, while often important, tends to dwell on sensationalist happenings which are frequently of a dark nature. The carefully crafted scenes in Akashic Alphabet are glimpses into what is often also going on simultaneously across continents and spheres, that is positive and for the good of mankind, but is not publicly broadcast. It is of vital importance for protection of the collective mind, that all humanity be made aware of this other remarkable side of life taking place, which has tremendous value and power in its inherent goodness, with ability to counter-balance and transcend in exponential proportion, the lower energies on our planet.